The Dutch made no attempt to claim possession of the Spice Islands by planting a banner or staging a ceremony as Columbus had done in the Americas. Rather, VOC captains and ambassadors deliberately positioned themselves as the protectors of vulnerable local rulers against the aggressive incursions of Portugal and Spain. But this protection was not offered for free. Rather, its recipients were required to present tribute in return by pledging to hand over their harvests of precious spices to the Company at a fixed price. When such provisions were violated, the VOC responded with violence. This happened most dramatically in the Banda islands close to Amboyna where the Company invaded the archipelago and wiped out the local population in a campaign sometimes labeled by scholars as an act of genocide. This is an example of the Company’s standard treaty template. In this case, the treaty has been signed between a VOC admiral, Jan Lam, and representatives of the Banda Islands, which produced most of the world’s nutmeg. 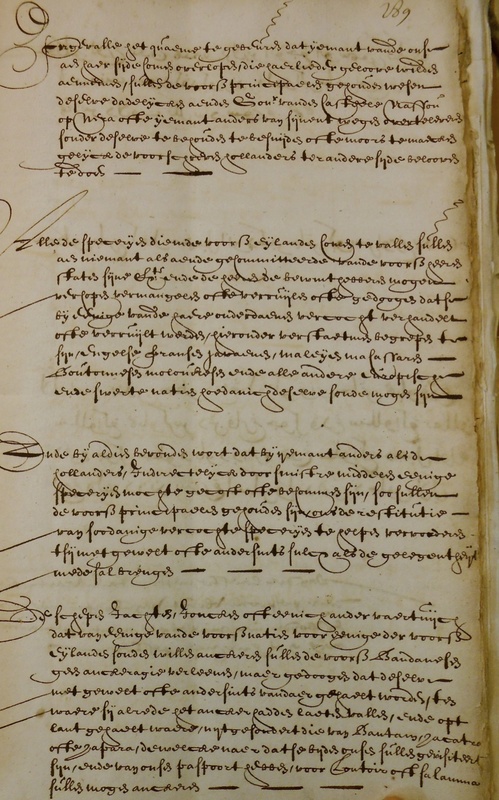 The Bandanese have committed in this treaty to hand over all of their nutmeg to the Dutch and not to trade with any of the VOC’s competitors, that is other Europeans such as the English or the French or its Asian rivals which included merchants from Makassar, a powerful Southeast Asian polity closely involved in trade with the Banda islands. This treaty was signed in 1616 but five years later in 1621, Jan Pieterszoon Coen, the Governor-General of the Dutch Company, ordered the invasion of the Banda islands.